Located in East Texas, in suburban Dallas, Tyler has a relatively warm climate that is defined by the USDA as hardiness zone 7b and 8a. Temperatures in this area can drop to 5 degrees Fahrenheit during the coldest winters, and summers may be hot, wet and humid. Soil in East Texas is usually naturally acidic. Many fruit trees, including some stone fruits, grow well in this area, though it is not appropriate for fruits like apples that need many hours of colder temperatures to properly set. Sour cherry trees (Prunus cerasus), which produce a profusion of fragrant blossoms in spring, grow well in Tyler, Texas. These trees, which are members of the Rosaceae family, produce cherries that are suitable for baking and are more hardy than sweet cherries. These small trees grow to about 20 feet, are self-fertile and should be planted in full sun. Sour cherry trees require regular, deep watering. Among the most well-known are the Montmorency and Early Richmond varieties, both of which bear small, bright red, soft fruit. Many pear trees (Pyrus), which are members of the Rosaceae family, will grow well in Tyler, Texas. The more well-known category of pears in the U.S. is the European pear, which is oblong in shape and includes such popular varieties as the d'Anjou, Bartlett and Bosc cultivars. Pear trees are generally upright trees that should be planted in full sun and get regular water. The Bartlett pear, which is available in stores throughout the summer, is a yellow pear with sweet, tender flesh while the Bosc has green-yellow skin with firm, juicy flesh. Both are mid-season producers. The d'Anjou is a red-skinned pear, and fruit ripens late in the season. Most plum trees, which are also part of the Rosaceae family, are well-suited to grow in Tyler, Texas. These trees, which require full sun and periodic soaking, are available in three categories: European, Japanese and hardy. Only some plum trees bear fruit, but all produce a profusion of flowers in spring. European (P. domestica) and Japanese (P. salicina) are the most widely grown. 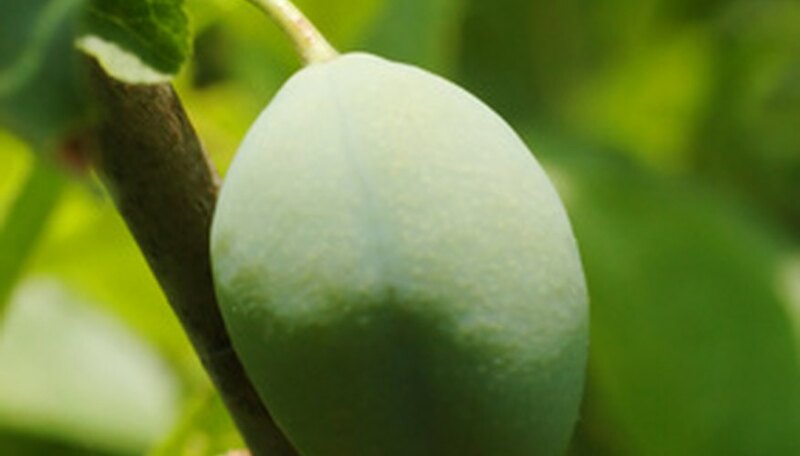 The Green Gage (P. domestica italica) produces a good, fresh eating plum that has a green-yellow skin, amber flesh and sweet flavor while the Ozark Premier Japanese cultivar produces a large, red-purple plum with yellow, juicy flesh.